India has said it is open to holding talks with Pakistan in resolving the Kashmir issue under a bilateral framework, a day after Beijing offered to play a "constructive" role between the two countries. Without naming Pakistan, India's Ministry of External Affairs said the central issue in the ongoing crisis is cross-border terrorism emanating from a particular country. "Our [position] is absolutely clear. You are aware that the heart of the matter is cross-border terrorism emanating from a particular country that threatens peace and stability in the country, region, and the world. We are ready to have a dialogue with Pakistan on Kashmir under a bilateral framework," Gopal Baglay, spokesperson, Ministry of External Affairs, said at his weekly media briefing in New Delhi. China had on Wednesday expressed concern over the mounting tension between India and Pakistan. "We hope that the relevant sides will be able to take more action to promote peace and stability in the region, as well as avoid escalation of tensions. China is ready to play a constructive role in the issue of improvement of relations between India and China," Chinese Foreign Ministry spokesperson Geng Shuang said at a briefing. China's remarks have come at a time when it is locked in a standoff with India and Bhutan in the Doklam area near Sikkim section of the border. The Indian MEA spokesperson said that both sides are using "diplomatic channels" to ease the tension. Baglay also referred to the informal meeting between Prime Minister Narendra Modi and President Xi Jinping during the G20 Summit, a claim that has been rejected by the Chinese. Indian experts said China needs to understand Indian sensibilities before meddling in the dispute. For starters, Beijing should inspire confidence by reorienting its South Asia strategy, which, at present, looks highly tilted towards Pakistan. "India stressing on a bilateral framework for conflict resolution with Pakistan hasn't changed and New Delhi has a principled position of no third-party role in Kashmir issue. Moreover, India has reasons to doubt Chinese sincerity on the issue as it is a very close and strategic partner of Pakistan. China has failed to understand India's sensibilities, whether it is the NSG membership issue or supporting the UN ban on Masood Azhar. 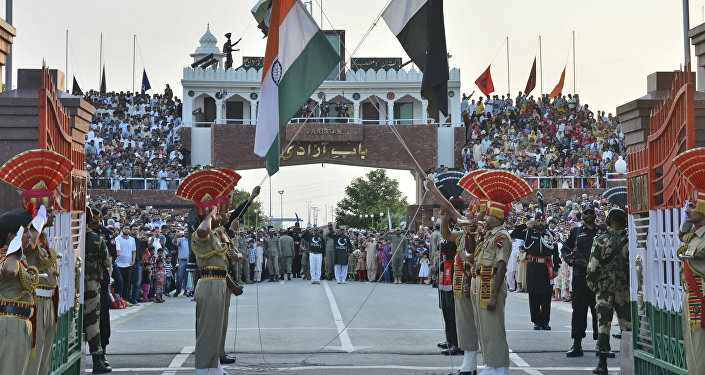 They first started the China-Pakistan Economic Corridor and approached India thereafter," Dr. Dhananjay Tripathi, Assistant Professor at the Department of International Relations, at the New Delhi-based South Asian University, told Sputnik.